First of all, I know there are people out there that would use Daiso products like their foundations, lipsticks, eyelash glue or even their facial products, like cleansers and masks (products that are put directly on the skin). It is, and I cannot stress this enough, my PERSONAL opinion that facial care products should come from a reputable source. I take my skin care seriously and although I don’t go crazy and buy really high end products that claim to do wonders, I wouldn’t, PERSONALLY, buy and/or or use products that are applied directly on the skin from a store I can purchase everything at MYR 5 per item. With that being said, makeup tools are a whole different story. You are not putting it on your skin and leaving it there for an indefinite period of time. They’re tools which can be washed, sanitized and reused. I have been looking for eyelash curlers that can do a decent job that don’t come with a hefty price tag and so I picked this one up from Daiso to give it a try. 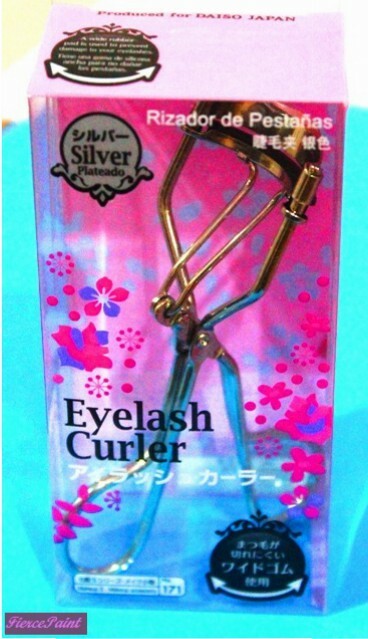 And Daiso has many types of eyelash curlers so this is just one in particular. 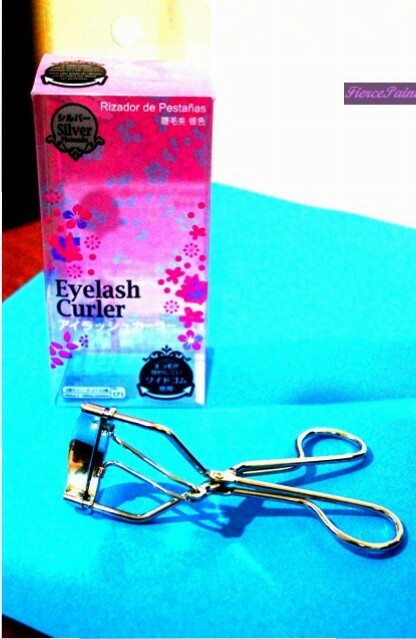 Standard silver metal eyelash curler. It comes with a basic hinge mechanism and a curved curler. There isn’t a spring mechanism that would pop the curler open (an example would be the Tarte Picture Perfect Eyelash Curler). It also comes with a spare pad as would most eyelash curlers. Probably one of the cheapest, if not the cheapest, eyelash curler of any brand in Malaysia. Does a decent job at curling the eyelashes. The pad is quite soft so the upper part of the curler really sinks into the lower part resulting in effective eyelash curling. Since the pad is so soft, the rubber wears out easily. Since the pad is so soft, it can also give your eyelash a very severe curl instead of a more rounded natural curl. Although the hinges are smooth they aren’t so sturdy which would become more flimsy with ‘wear and tear’. It is rated 7.5 because of the fact that it is so cheap. And replacement pads, in a pack of five, can be found at Daiso!